With many people enjoying time off over the next couple weeks, and the longest nights of the year coming over the weekend, now is a good time to get plenty of rest and relaxation in advance of what is likely to be a very busy 2019 for state fiscal policy and other debates. Among those debates, Kentucky lawmakers will be returning to topics they could not resolve in a brief special session held this week, New Jersey and New York will both be deciding how to legalize and tax cannabis, and gas tax updates will be on the agenda in Alabama and Illinois. Feel free to cozy up by the fire with some offerings from our “What We’re Reading” section, including eye-opening information on how much corporate subsidies are costing our schools and other services, what states are and should be doing to prepare for long-term needs and a potential recession, and hopeful guidance on how we can do more to stem inequality by strengthening taxes on unearned income like capital gains and inheritances. 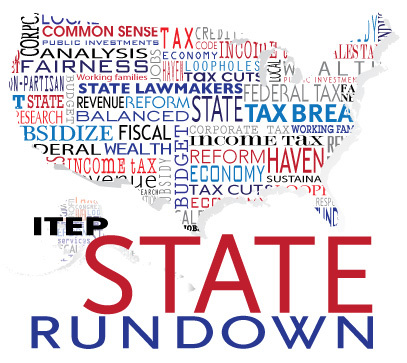 We at ITEP will be taking our own advice and resting next week, and look forward to returning with more state tax and budget news in the new year! ALABAMA lawmakers are widely discussing a gas tax increase to fund infrastructure improvements, with one legislator weighing the chance of passage at 75 percent. The last time the tax was updated was in 1992. Local officials are also on board. ALASKA is entering 2019 with a $1.6 billion deficit. The revenue hole is estimated as a result of lower projected oil prices and a larger Permanent Fund dividend per Gov. Mike Dunleavy’s inaugural state budget. Despite the state’s long-standing need for sustainable revenue options, the governor stands firmly opposed to any revenue increases. ARIZONA cities are challenging the legality of Proposition 126, which amends the state constitution to prohibit new or increased taxes on services. The impact of the law expands beyond the state tax code to counties, cities and towns, some of which have enacted taxes that they argue would directly counter the new law. Members of the ARKANSAS Tax Reform and Relief Legislative Task Force are finalizing legislative recommendations, which include prioritizing Gov. Hutchinson’s plan to consolidate income tax tables and cut top tax rates—a plan which will give a hefty tax cut to top income earners in the state. Also in CALIFORNIA, a proposal to levy a tax on text messages quickly fizzled out in the wake of a contrary FCC ruling and a great deal of industry opposition. One of the first bills introduced in DELAWARE’s 2019 session will be a progressive income tax increase for individuals with $125,000 or couples with $250,000 of taxable income. Some in the DISTRICT OF COLUMBIA are enraged that the Council is redirecting $20 million away from homeless programs to cut taxes on high-value commercial properties. Chicago and other mayors from neighboring suburbs are calling for an increase in ILLINOIS’s state gas tax. It’s been over 28 years since the state last raised its excise tax on gasoline. Revenue forecasts are looking good in INDIANA but the projected increases will be stretched to cover all the state’s required and requested increases for funding in important investments including foster care, health care, and K-12 education. Despite pressure to do otherwise, MINNESOTA lawmakers are unlikely to rush into addressing lingering questions about how the state tax code will or will not change due to the federal Tax Cuts and Jobs Act. As the Minnesota Budget Project explains, the state’s expected surplus is not as cushy as it may first appear, particularly in light of expiring taxes, keeping up with the costs of providing critical public investments, and expected financial downturns. NEW JERSEY representatives appear ready to legalize and tax cannabis, but are still debating what the tax rate should be. Gov. Phil Murphy’s office originally proposed a 25 percent tax but the legislation introduced so far includes only a 12 percent state rate. Localities are also lobbying to ensure they are able to bring in enough revenue to cover related costs. Comprehensive tax reform is on the agenda for the upcoming NEW MEXICO legislative session, with expected proposals on changes to the state’s gross receipts tax, income taxes, capital gains exemptions, and property taxes. NORTH DAKOTA Doug Burgum is proposing to completely exempt military pay and pensions from state income tax. In OREGON a host of tax bills have been filed, including bills calling for higher corporate rates, ending the state’s “kicker” rebate, fair assessments of millionaire homes, and a bill that would require corporate transparency. TEXAS Abbott is calling for property tax reform that would cost local schools $3 billion over the next five years and leaving it up to lawmakers to find a solution for how to cover the projected loss. UTAH Herbert has called for modernizing the state’s sales tax, expanding the base to include services while bringing down the general sales tax rate. This is a much-needed policy change in most states, but faces a difficult path to enactment. WASHINGTON Inslee has proposed significant boosts in spending to support education, mental health, teacher and state worker salaries, and environmental protections and is recommending a tax on capital gains income and increasing the business and occupation tax to help pay for it. For more on how states treat capital gains income, see this new paper from the Center on Budget and Policy Priorities. 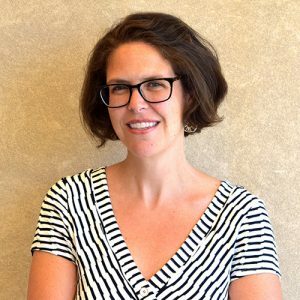 Concerned about anti-democratic power grabbing in states like WISCONSIN over the past few weeks? We are, too. Read more about the unsettling events, the corporate sponsors behind it, and tax cuts for the wealthy that were the icing on the cake. A major report from Good Jobs First is making waves by tallying up how much funding schools and other services are losing due to business tax subsidies. For example, GEORGIA could have paid 1,100 teachers with the money spent on corporate tax breaks there, while SOUTH CAROLINA is giving out tax breaks equivalent to more than 6,000 teachers’ salaries. CityLab also covered the report. Governing explores what states have been spending increased revenues on during recent relatively good times; the Tax Policy Center warns that when viewing long-term fiscal outlook, states should be less optimistic; Governing weighs in on predicting the next recession and what states are (or are not doing) to prepare; and Route Fifty covers a Government Accountability Office report on the long-term fiscal pressures facing governments over the next 50 years. The Center on Budget and Policy Priorities is out with some new briefs on state taxation of inherited wealth and capital gains income. Check them out! The GEORGIA Budget and Policy Institute has recently released a report on improving the state’s health and finances through a tobacco tax increase and another listing five ways to improve how Georgia schools are funded. The Commonwealth Institute out of VIRGINIA has a new chartbook out with beautiful, compelling graphics illustrating the value of the Earned Income Tax Credit to working families and Virginia’s economy. If you like what you are seeing in the Rundown (or even if you don’t) please send any feedback or tips for future posts to Meg Wiehe at [email protected]. Click here to sign up to receive the Rundown via email.